This addition to the FinalFinish product line is intended for use by competition shooters and others who demand high performance from quality barrels. TMS greatly extends accurate barrel life. TMS is also the perfect complement to FinalFinish. On a factory barrel, TMS will help to maintain the smoother internal barrel finish that resulted from its FinalFinish treatment. 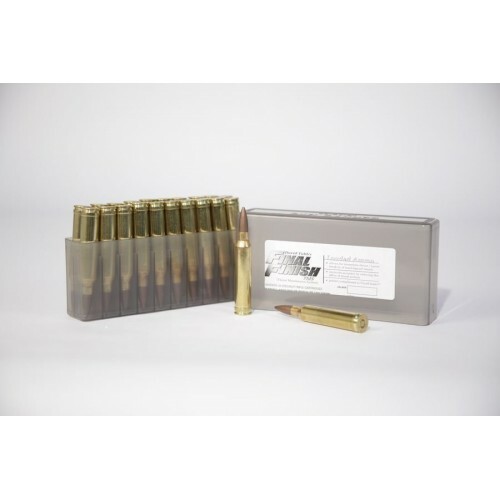 These bullets are coated with a specially chosen single polishing compound that will smooth and maintain the throat in your firearm, thereby significantly offsetting the effects of throat erosion -- the number-one culprit in barrel wear and accuracy loss. Barrel wear is really throat erosion. The throat in a rifle barrel is an area several inches long ahead of the chamber. This portion of the barrel receives the full force of the firing process. Extreme temperatures, blazing gases, and radical expansion eat into barrel steel causing stress cracks, pitting, and roughness. Under high magnification the throat starts looking like cracked mud plates in a dried up lake bed! The edges of these plates tend to cup upward and form teeth like a file. These teeth grab and rip the bullet jacket. When the bullet jacket is damaged in this way, bullet integrity is compromised and poor accuracy can result. FinalFinish TMS bullets are specially engineered to smooth over these sharp teeth, helping restore and maintain throat integrity. 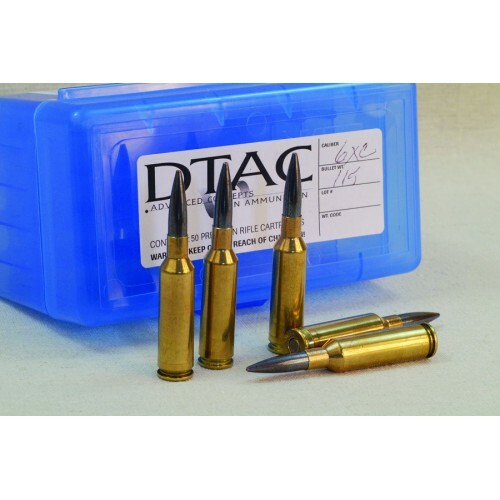 Two or three TMS rounds every 200-300 shots will greatly extend the accurate life of your barrel, whether it is a match-grade hand-lapped barrel or an out-of-the-box factory rifle. TMS also significantly improves the land's signature mark on the bullet (when seating the bullet into the rifling) and hence eases the bullet's transition into the bore. When this occurs, better accuracy results! TMS is for use in any barrel, production or custom, at any time during its life as a preventative maintenance routine. One or two rounds of TMS used every few hundred shots keeps the throat smoothed, which will prolong the accurate life of your barrel. Think of it like changing the oil in your car on a regular basis. 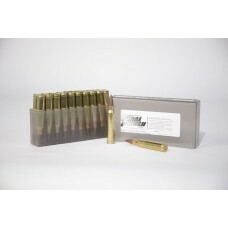 By ordering loaded ammunition you are agreeing that you have read and accept the TERMS and CONDITIONS published on this website.